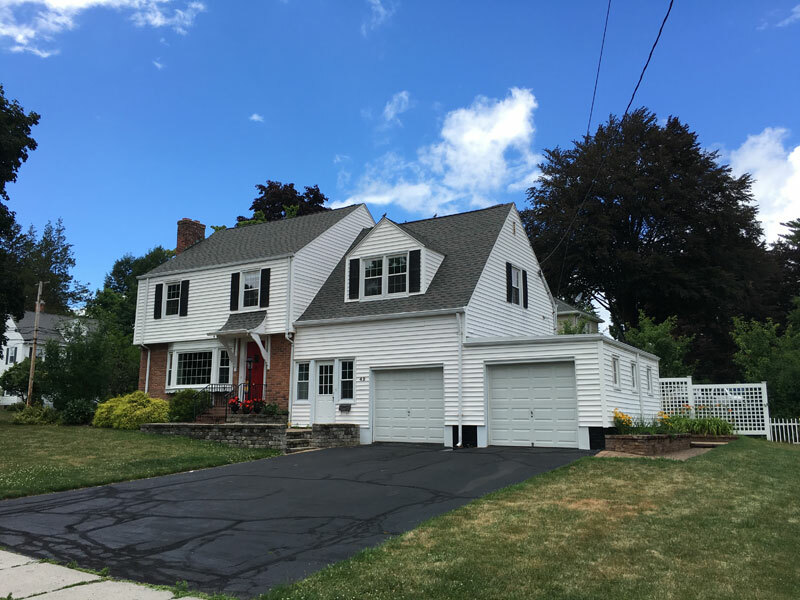 Convert a three-bedroom, two-bathroom home with previous small/poorly designed additions into a four-bedroom, three-and-a-half baths, with two-car garage on a restricted corner lot in West Hartford Center. 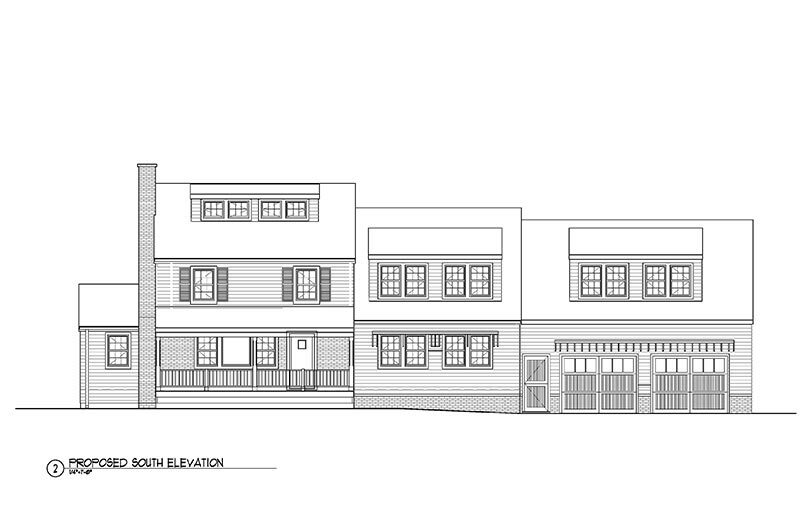 The house should accommodate a family of five with three active young children. The interior living area should have an open feel, and a visual/accessible connection to the outdoors. Care needed to be taken to preserve as much play area/lawn as possible while dealing with a six-foot sloping grade issue from one end of the site to the other.